Congratulations Scott Williams !!! Commercial Checkride Pass! 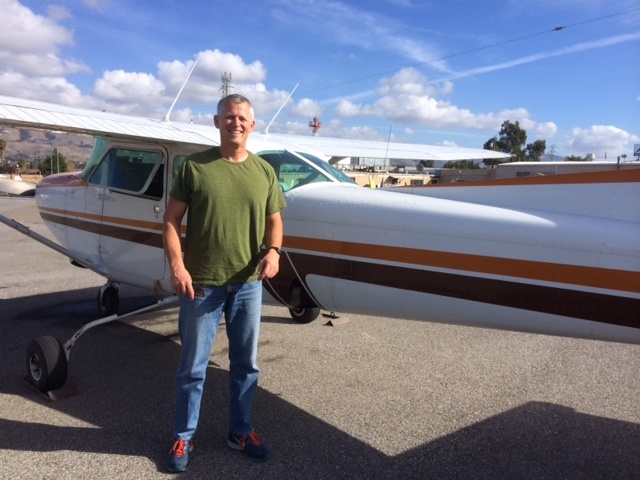 Congratulations to Scott Williams for passing his Commercial Checkride! Scott passes with flying colors under the watchful eyes of DPE Yuzo Wakita . Congratulations to CFII Jen Delp-Mallet for another successful student as well! The dashing smile of a brand new commercial pilot! 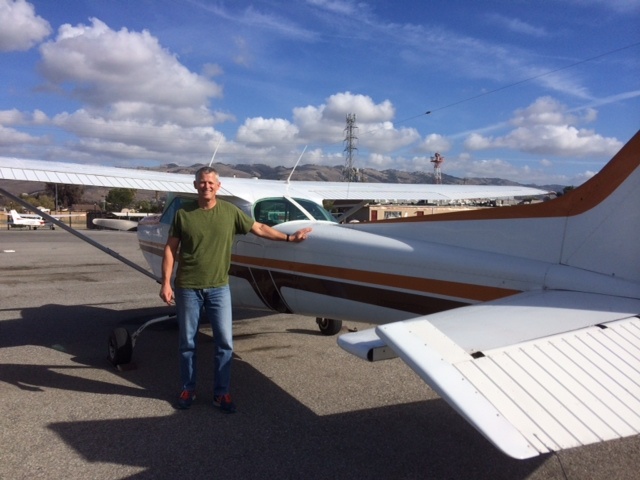 Scott Williams with our newest C172RG, N4604V, on the fleet after a successful checkride! 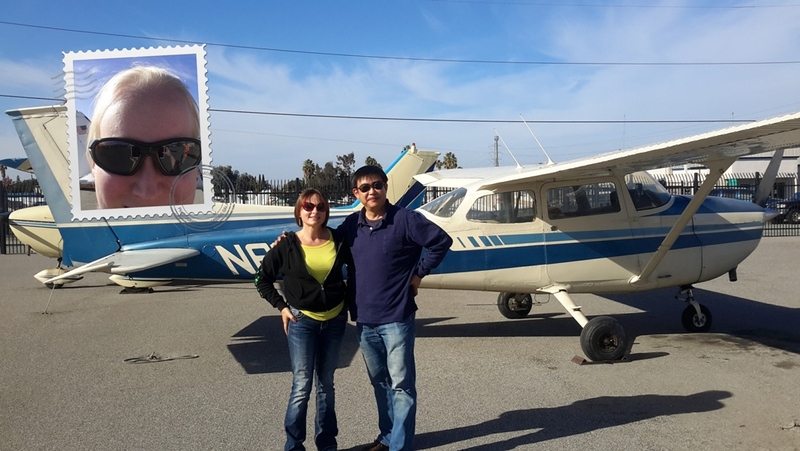 First Solo – Daniel Yang! Congratulations to Daniel Yang! 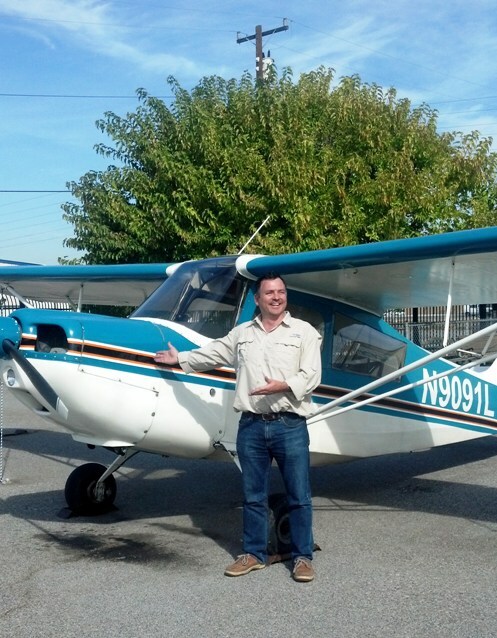 He soloed the Cessna 172M on a beautiful, calm day. Well done also to AeroDynamic Aviation CFI Grainne! Congratulations to Julio MacWilliams on his first solo. Julio, his Citabria and his instructor, Grainne, are all fine and ready to do it again. Well done Julio and Grainne. Well done to Raj Khanna who impressed Examiner Scott Rohlfing, and passed his Private Pilot flight test with flying colors. 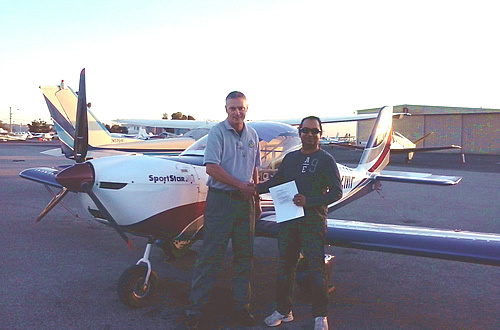 Congratulations Raj, and well done too, to AeroDynamic Senior Instructor Mark Guerrero.